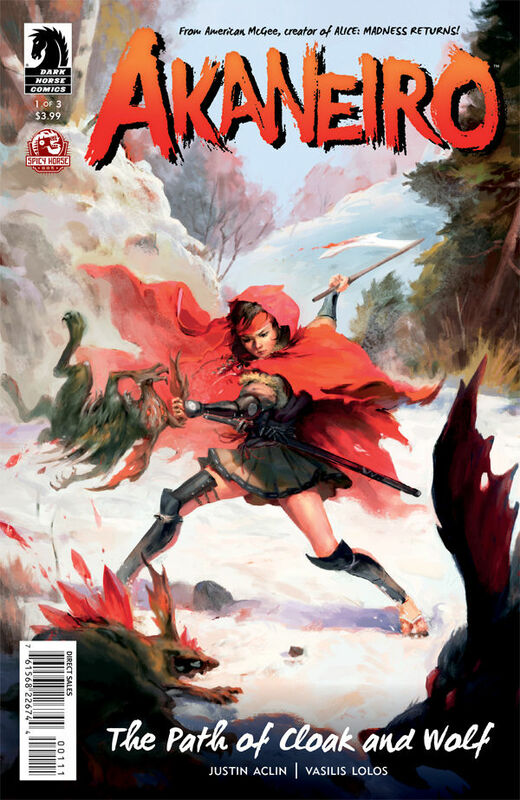 Dark Horse launch a new mini series Akaneiro. It’s a new take on Red Riding Hood. From the brilliant imagination of video game auteur American McGee comes a dazzling reenvisioning of Red Riding Hood set in the wondrous world of Japanese folklore! Justin Aclin and Vasilis Lolos take Kani a young woman torn between two cultures on an epic adventure battling devious yokai for the fate of her world! Image comics have got reissue of one of the best books puslished in the last million years with Elephantmen Revised & Expanded Vol 1, Richard Starkings team have created an amaing world of mutants, chicks and weapons all in just the right amounts. This one has issues 0-7 along with sketches making it a total must buy unless your like me and have the single issues multiple times and the first edition TPB.